So after four whirlwind days in London and two glorious days in Oxford, we departed on the last leg of our journey: Edinburgh. 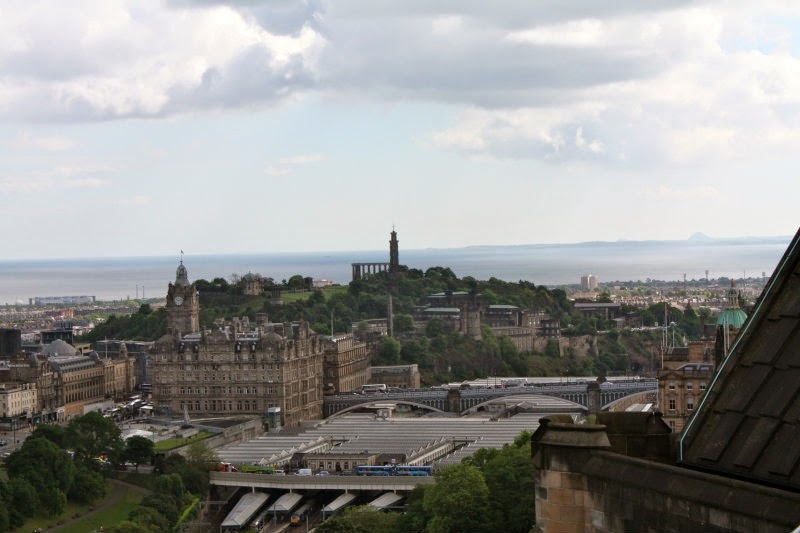 Edinburgh was Julia's pick, being the Harry Potter fan that she is, because she wanted to see where it all began. To walk in the footsteps of J.K. Rowling, if you will. And walk in her footsteps we did, as you will see. But first (and, sadly, I don't have any pictures to show you of this), we took a six hour train ride from Oxford to Edinburgh. If you've never taken a cross country train ride (or even a car ride) across the U.K., you're really missing out because the landscape changes right before your very eyes, growing more and more lovely the farther north you go. And then you reach Scotland. Ahhhh. As you climb into Scotland the terrain becomes much more rugged, green patches dotted with grazing sheep, and you can really picture Robert the Bruce leading his pack of warriors across the fields to meet the English army. It's astounding how much has not changed in Scotland through the years (of course, I'm sure the people who live there would tell you differently). We arrived in Edinburgh around 4 p.m. in a slight drizzle, caught a cab to our B&B, and were immediately struck by the wonderful kindness of the Scottish people. Our cab driver chatted us up through the entire drive, telling us this and that about the University and other sites we were passing, and our B&B host, Ross, was absolutely wonderful. In fact, everyone we met in Scotland was cheerful, kind, and helpful. These people are genuinely lovely, and they make me want to spend more time in their country. Anyway, since it was getting later in the day and we were starving from our trip, Julia and I headed toward the Royal Mile for dinner. We hadn't had an pizza on our trip yet, so we indulged our American tastebuds and ate at Pizza Express. Yum! *Edited to add: How could I forget?! After our pizza we took a very interesting tour that our B&B host had told us about: The Real Mary King's Close, which was a walk through a long-buried neighborhood of Edinburgh--it actually got buried underneath a building!--with some history of the Black Death and the very difficult life of peasants in the 1600s thrown in for good measure. Eeep! Kinda creepy, lotta touristy, but fun for a laugh. After The Real Mary King's Close tour, our legs could barely carry us any further, so we headed back to our B&B, 23 Mayfield, for a good night's rest. I forgot to take a picture of the outside of our B&B, but here's a picture of our room--so comfortable and well-appointed. We loved it! And check out this view from our window! 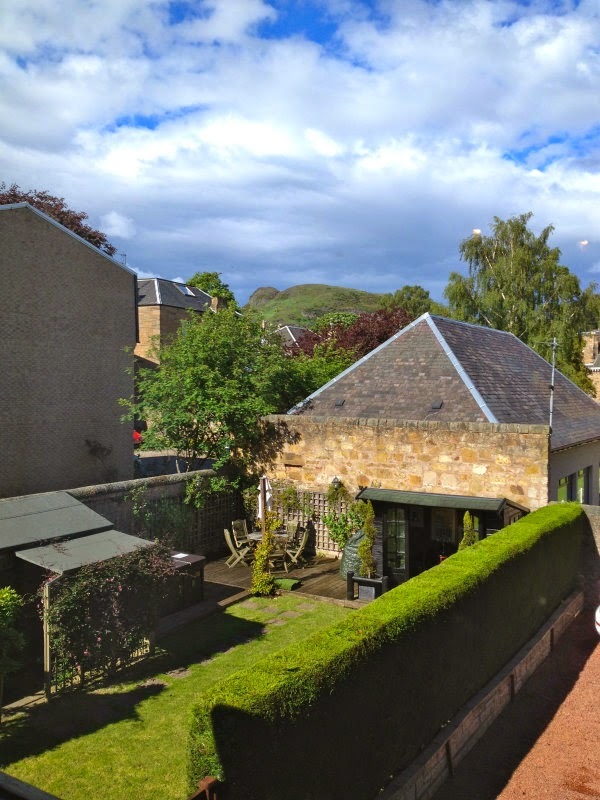 That's the back garden where guests can sit and enjoy a dip in the hot tub or a glass of wine. Lovely. The next morning, after a fantastic breakfast at our hotel, we were ready to tackle Edinburgh, and tackle it we did since it was our last day of sightseeing. We had a full agenda. Surprised?! First up, Edinburgh Castle at the top of the Royal Mile. No trip to Edinburgh is complete without visiting the castle. Julia and I bought audio guides, which give you lots of great information, but you could also take a free guided tour. Whatever you do, take some kind of tour when you're there because there is so much history. 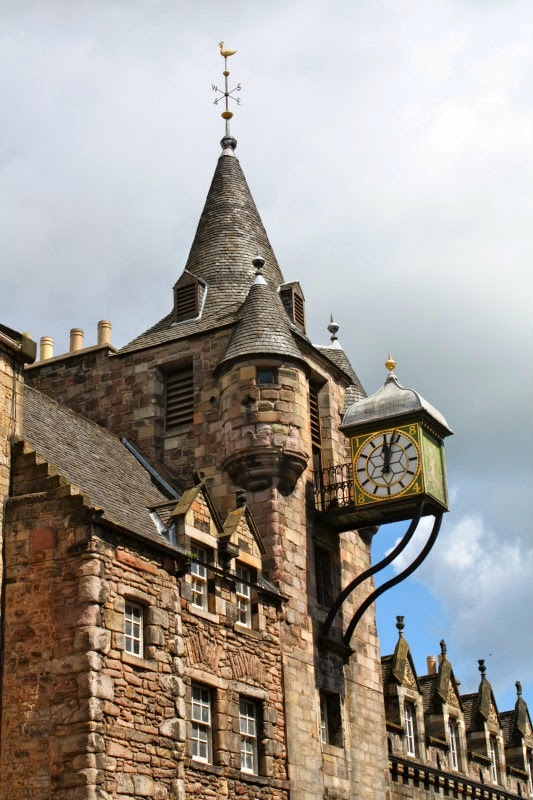 My favorite place in the castle is the apartment of Mary Queen of Scots where Mary gave birth to her only son, James VI, who later became James I of England and translated the Bible into what we now know as the King James Version. This was my fourth visit to the Castle, which is why I didn't take many pictures, but I saw exhibits that I had never seen before. The prison exhibit was new to me and really interesting. 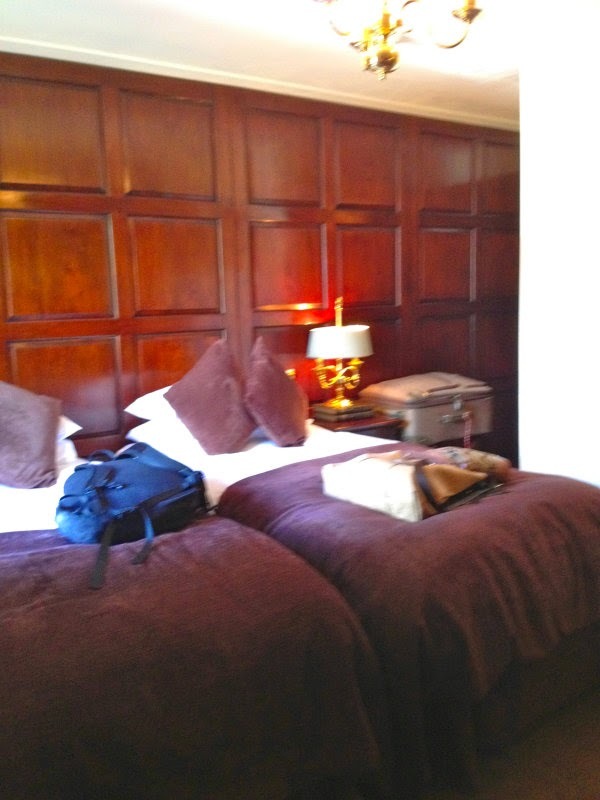 Next on our list: walk the Royal Mile. 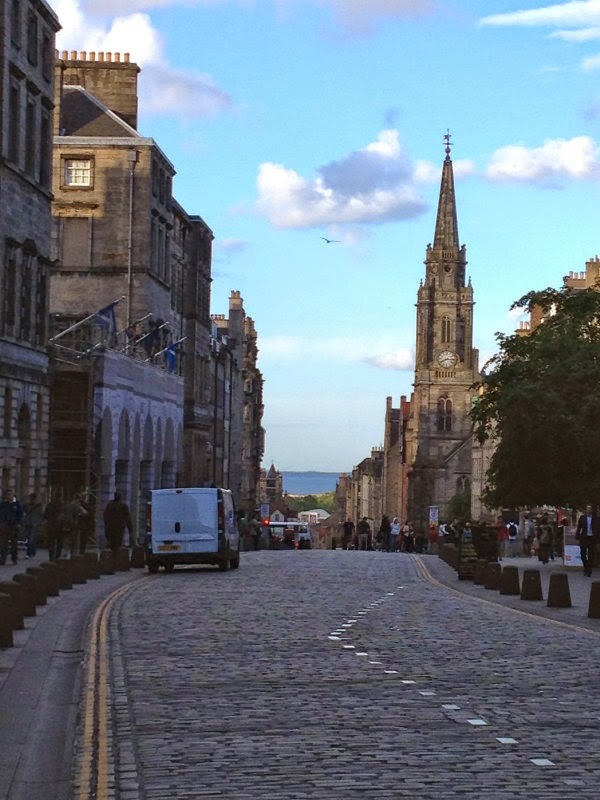 The Royal Mile is a steep, cobblestone street full of history. And shops. And tourist traps. But still, I love it. It's where B and I saw J.K. Rowling herself back in 2005. 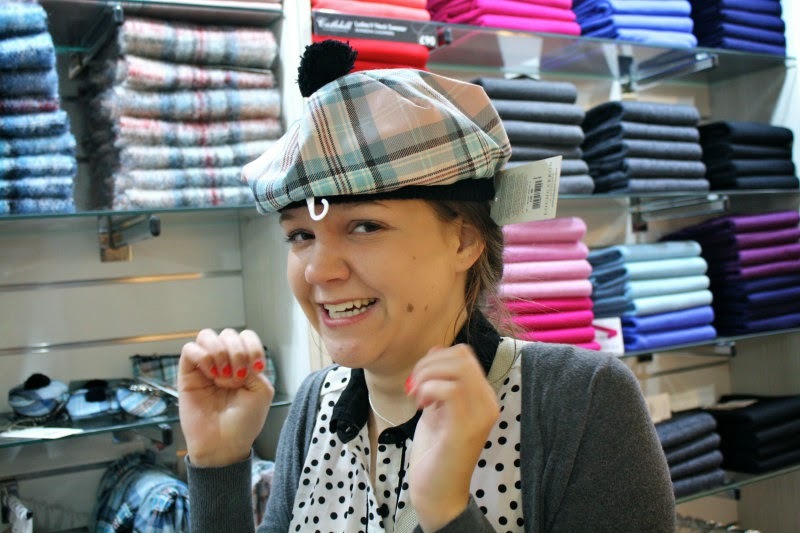 Julia and I meandered our way down the Mile, taking our time, ducking into woolen shops, and trying on hats. 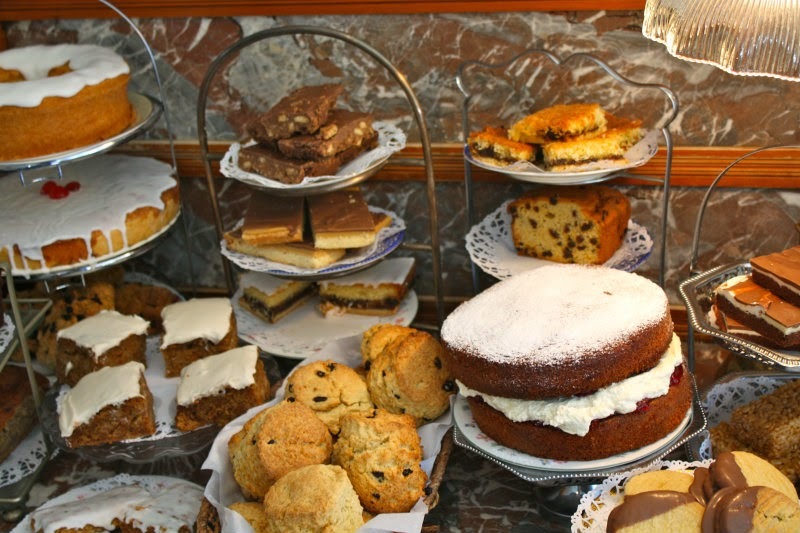 We were nearing the bottom of the Royal Mile around lunch time and happened upon the cutest little tea room, Clarinda's, where we felt like we had stepped back in time. The tiny restaurant still looked like it probably did 30 years ago, with prices to match! It was such a respite for us--a hearty sandwich and a pot of tea were just the ticket--that it became one of my favorite memories of the trip. And check out these homemade goodies! One of those scones just might have become ours. With clotted cream and jam, of course. Next up: Holyrood House, Arthur's Seat, and a Harry Potter tour. Please come back tomorrow for more of our trip to Edinburgh. And I'd love it if you'd invite a friend or two along! Beautiful!!! My dad's family is originally from Scotland (they traveled to America in 1856) and Scotland is definitely on my "bucket list." Can't wait to read more tomorrow! Have a blessed day! You definitely need to see Edinburgh, Robin! It's amazing. Oh, I love Edinburgh! I know just the room in the castle that you mean. I had just read a biography of Mary, Queen of Scots, when we visited the castle, and it seemed like such a sacred space to step into. Talk about shaping history! 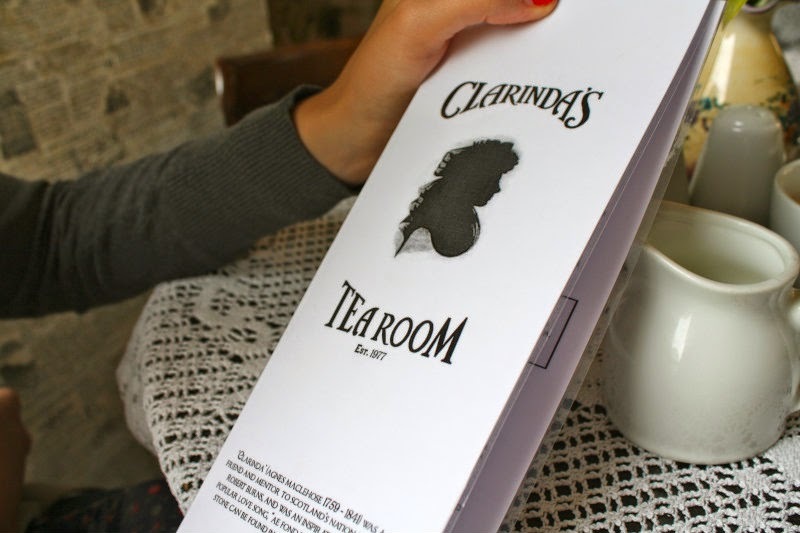 We also love Clarinda's - so delicious and homey. I'm enjoying all your posts so much.